As you probably know, lava is the molten rock that comes out of volcanoes during eruptions. But what is it? What is lava, and how does it get so hot? You’re standing on the Earth’s crust right now. But beneath your feet, the interior of the Earth gets must hotter. About 30 km beneath the Earth’s crust is the mantle; a vast region of hot rock that can be thousands of degrees. Although the mantle is mostly solid, it can form pockets of liquid rock called magma. This lava is much less dense than the surrounding rock, and so it “floats” up to the surface of the Earth through cracks and weaknesses in the Earth’s crust. When it finally reaches the Earth’s surface and escapes, geologists call this hot rock magma. It’s still the same stuff, it’s just at the surface of the Earth now. 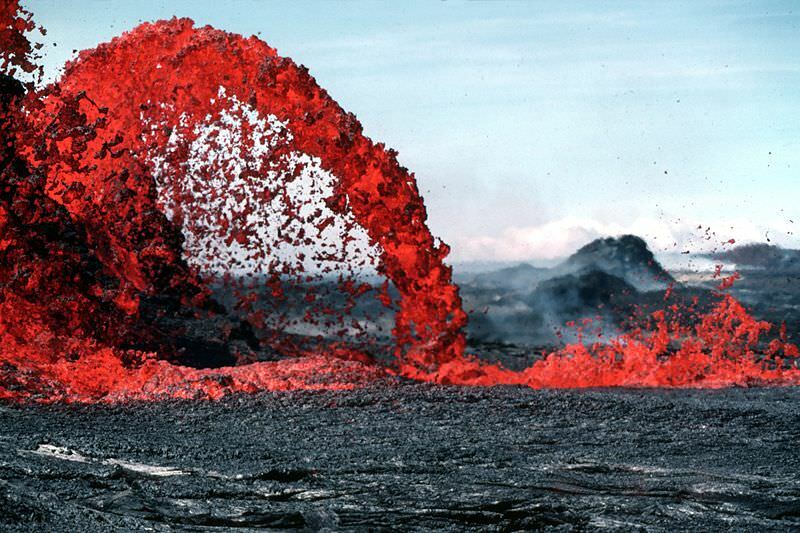 Different kinds of lava will flow at different speeds when they erupt from a volcano. The least thick can flow in great rivers of molten rock for many kilometers. The thicker lava doesn’t flow very far at all, piling up around the volcanic vent, and creating the familiar cone shaped volcano. The thickest stuff doesn’t really flow at all, it just plugs up the volcano’s plumbing, and can lead to powerful explosions. Lava can range in temperature from about 750 degrees C to more than 1100 C. The temperature of the lava actually depends on the composition of the minerals in it. Some contain large amounts of aluminum, potassium and calcium, while others have iron and magnesium. We have written many articles about volcanoes for Universe Today. Here’s an article about how a volcano triggered a lightning storm, and here’s an article about the temperature of lava.